Pen : The pen menu is used to change to the drawing mode. This icon is only displayed in finger drawing mode. Tip : Use the tablet stylus rather than the finger for more precise drawing. Eraser : This icon is used to change to custom erase mode. Erase All : This menu is used to erase all the drawings on the page. It also disables Pen or Eraser mode. Note : The pen and Eraser icon cannot be selected at the same time. Tip : Pen options include Use stylus, Line type, Drawing color and Eraser size. Refer : This icon is to view another page along with current page. When the icon is selected, the screen is switched to portrait mode and divided in half. 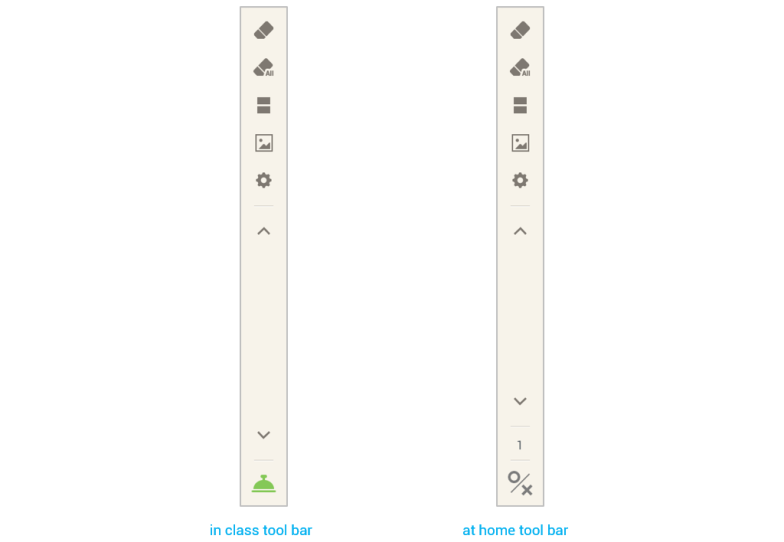 Each half shows a different page and can be scrolled through separately. - The upper section is read-only. 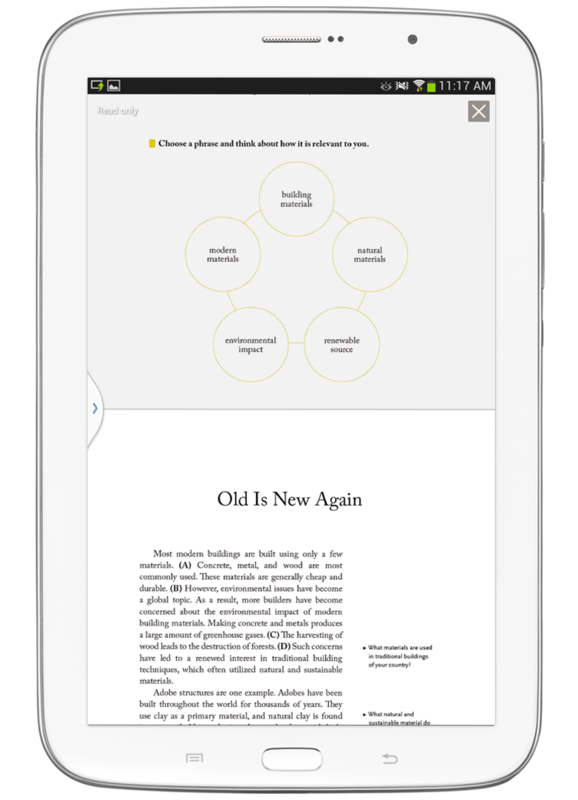 Move between pages by a left or right flick and scroll by an up or down flick. - Bottom section displays the current page. Scroll by an up or down flick. Add image : This menu is to view image during class. Option : This menu is to set options on drawing tools. Bell : This icon is to check if students have finished solving a question or used as a way to poll the class to generate discussion. It is used during class and activated only when the teacher selects the “Mission bell” icon. Answer : This icon is to display O/X as a scoring result. It is to be used after the class and shows a scoring result when the answer check button is selected. 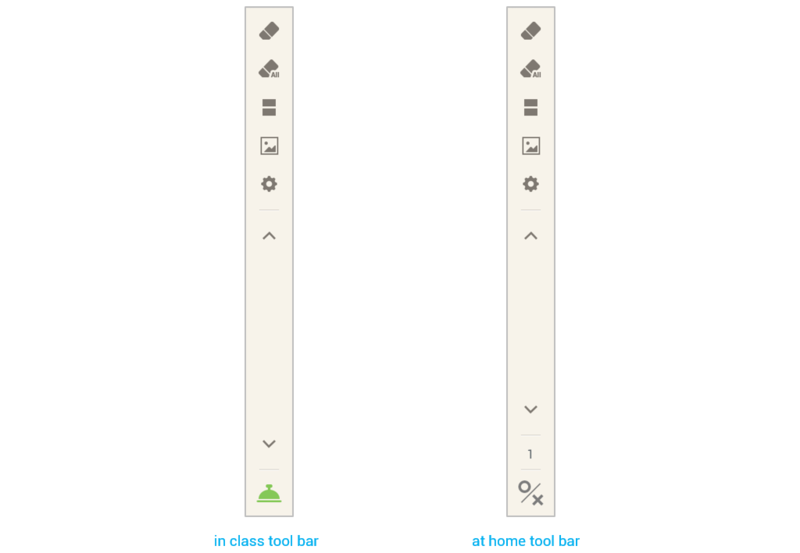 This feature is optional and can be disabled when creating the textbook with Loudclass Author.